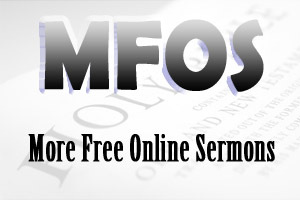 PREACHING SERMONS THAT WORK FROM ROMANS 1 is a sermon about sharing Jesus Christ with great enthusiasm. Talking about sharing Jesus Christ is not the same as actually sharing Jesus Christ with someone. Preaching Sermons That Work From Romans 1 is an expository sermon about Sharing Christ With Great Enthusiasm. Times have no changed. We still talk a great deal about sharing Christ, but are we actually sharing Christ as a church and as individuals? Moody graphically illustrated the difference between talking about doing something and going out and doing it. We do talk a great deal about sharing Jesus Christ, but do we actually share Christ with enthusiasm. D. L. Moody was a person who shared Christ with great enthusiasm. In many ways, times have not changed. We still talk much about sharing Jesus Christ with the lost, but are we actually doing it as a church and as individuals? Of course, it is never easy sharing Jesus with others. In fact, statistics tell us that this is one area we all struggle with. Nevertheless, the Bible still encourages us to go into all the world and preach the gospel to every creature. In that sense, we need all the encouragement we can get so that we will share Jesus in our part of the world. Romans 1:1-7 is a passage of Scripture that encourages us to share Christ with enthusiasm. Paul's life shows us three ways to share Jesus Christ with great enthusiasm. Our heart response to Jesus Christ will have a profound effect on our witness for Christ. This was exemplified in Paul's life. What was Paul's heart response to Christ. Look at verse 1, "Paul, a servant of Jesus Christ..."
Paul had no doubt in his mind that he belonged to Jesus Christ. Because of this, he gave himself totally to the Lord and the work of God. How we see ourselves in relation to Jesus Christ will affect our witness for God. Look again at verse 1, "Paul, a servant of Jesus Christ, called to be an apostle..."
Paul had no doubt that Jesus called him to be a witness for God. Jesus Christ Himself said to Paul, “Rise and stand on your feet; for I have appeared to you for this purpose, to make you a minister and a witness both of the things which you have seen and of the things which I will yet reveal to you, I will deliver you from the Jewish people, as well as from the gentiles, to whom I now send you” (Acts 26:16-17). How we understand our call in relation to Jesus will also affect our witness for God. Look again at verse 1, "Paul, a servant of Jesus Christ, called to be an apostle, separated to the gospel of God"
Paul knew his assignment and he did not stray from it regardless of the circumstances. His heart response to Jesus Christ kept him focused in both good and bad times and he never lost his enthusiasm to share Jesus with others. Our heart response to Jesus will have a profound effect on our witness for God. Paul's goal in life was to make Jesus known through the preaching of the gospel. Why did Paul make this his goal? The word gospel means good news. Paul wanted people to hear this good news. After all, the good news of the gospel radically changed his life. Paul wanted people to hear what Jeus Christ had done for them. He wanted them to hear the message that Jesus died for their sins and rose again to bring new life. This good news was promised in the Old Testament but now realized in the New Testament, which is a testimony about Jesus Christ. Paul lived and ultimately died to make Jesus Christ known through the preaching of the gospel. What a noble goal! What a worthy precedent! This challenge was always before Paul. It is never easy to witness Jesus to others and called them to faith in Jesus Christ. Nevertheless, we have God's grace to carry us through (1:7). Sharing Jesus with great enthusiasm requires the right heart, goal and challenge. Let's not only talk about doing it, let's do it.